Joel Kaleva is a Partner in the Commercial Department. His practice focuses on counseling nonprofit organizations about the complicated interplay among the different federal and state agencies that regulate the activities of these organizations. Joel assists clients in the formation of not-for-profit corporations and represents not-for-profit corporations in securing recognition of exemption from federal and state income tax. He advises tax exempt organizations on all aspects of federal tax issues associated with their operations including joint ventures with both nonprofit or for-profit entities, unrelated business income issues, and mergers and acquisitions involving tax exempt organizations. Joel also assists clients in establishing effective employee benefit plans, developing related subsidiary organizations, and creating efficient administrative procedures and governance policies for their boards of directors. 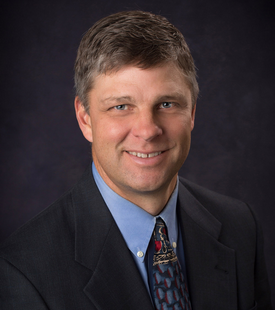 Mr. Kaleva graduated with highest honors from Montana State University in 1992 and with Honors from the University of Montana School of Law in 1995. Joel teaches continuing legal and professional education courses throughout the United States. These courses assist nonprofit boards of directors, executives, fiscal officers and attorneys in identifying potential problems that affect nonprofit organizations as well as providing them with suggestions for establishing procedures that will prevent future problems. He serves on numerous nonprofit boards and advisory committees and is a member of the ABA’s Taxation Section and Exempt Organizations Committee, and a founding member of the Montana Bar Association’s Nonprofit Law Section.